I love taking random pictures and this is what I was doing again during my last trip while walking in the remote village of Uttarakhand. I took the picture of inscribed colored stones outside the monastery and shared with some thoughts on my social media handle (Instagram). The picture got some appreciation but equally had too many questions around it. The majority of friends and igers wanted to know- What are these colored stones and what do they represent? Are they for good fortune or something else? Do one need to buy them? 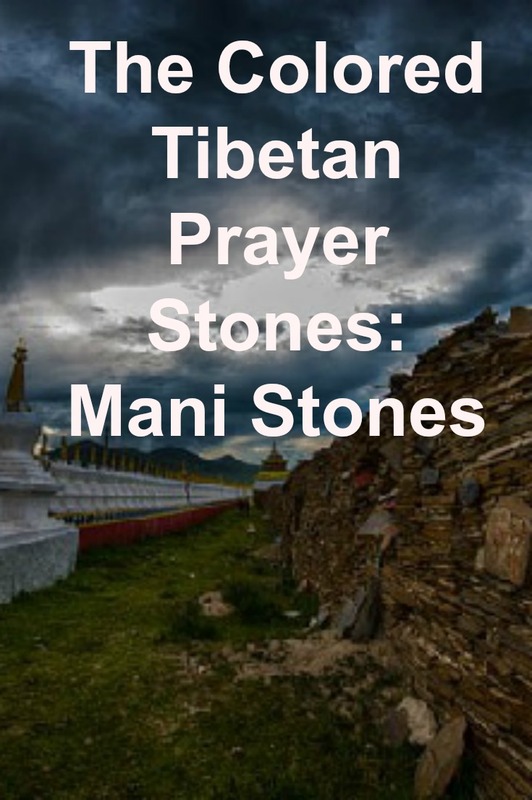 So, to answer all those entire questions here is a short write-up on the inscribed colored prayer stones also known as Mani Stones. 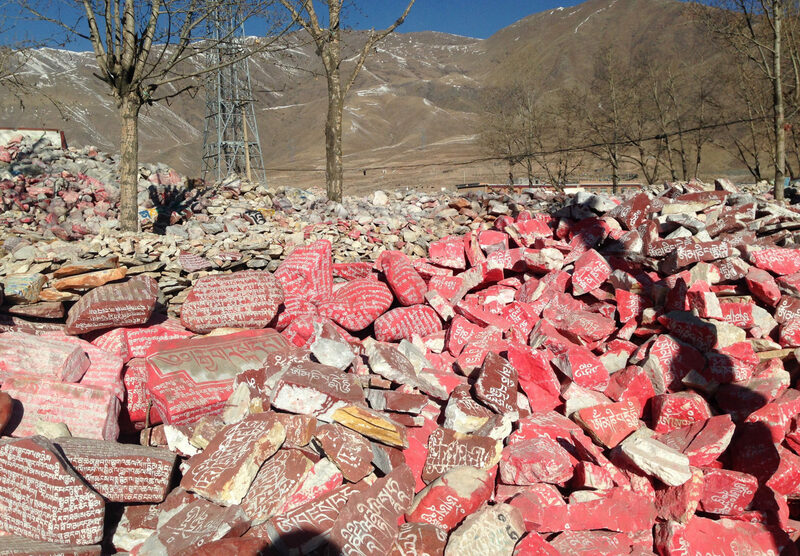 The Mani stones are flat colored stones/rocks with an inscription of Tibetan Buddhist Prayers on it. The writing is a six syllable mantra; “OM MANI PADME HUM”; for which the simple translation is Hail to the Jewel in the Lotus. All these six syllables of mantras are painted in different colors, as you can see in the picture. Apart from this mantra, some mani stones are carved with devotional images and sacred animals. Where will you find these Mani Stones? The Mani stones are found in the Himalayan regions where Tibetan Buddhism is practiced. 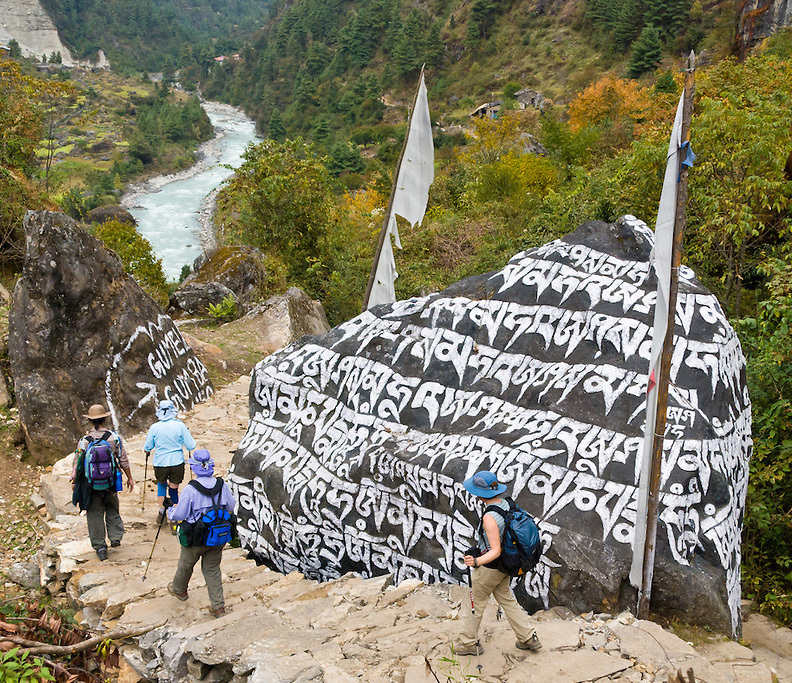 They are intentionally placed by Buddhist devotees on the various significant landscapes such as the entrance to the villages, near monasteries, along with the trekking trails or near rivers. There is no fixed shape and size for these sacred carved stones. The size of stone varies from small to large, and there can be single to multiple stones at a place. At times the Mani stones are placed on top of one another to form mounds and the height of these can go as high up to 1-2 meter. 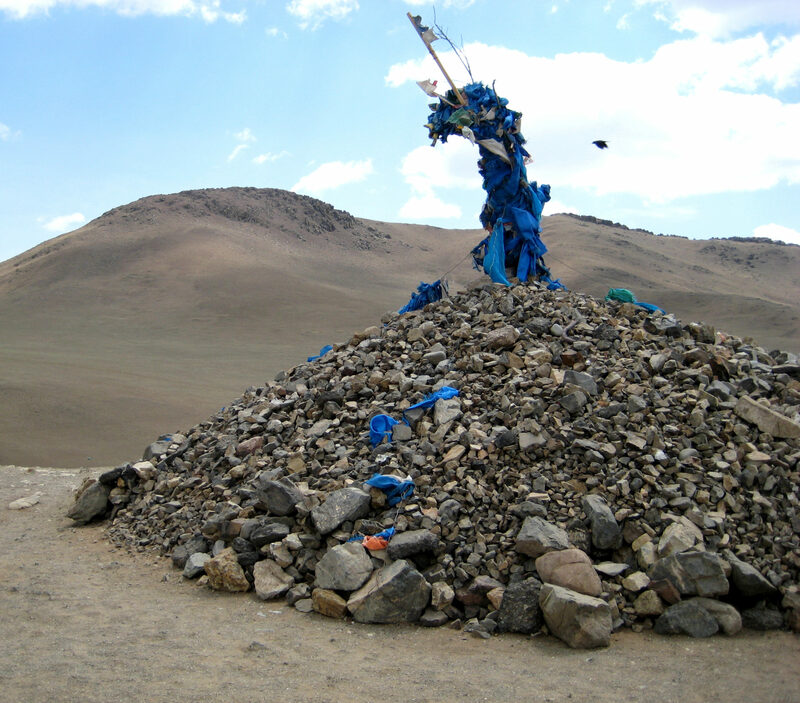 Further, these mounds on the top are decorated with Yak and Sheep horns and are worshiped by villagers. At some places in the Himalayas, one can find Mani stone walls too. These walls can extend in length to Kilometres and in height to several meters. In Buddhism, people have a belief that spirits dwell in the significant locations. So, to maintain peace, prosperity and good health, these colorful stones are laid. Further, they say that whenever you encounter these Mani stones on your way; always makes sure that you pass them to left (clockwise direction). And the reasoning for the same is that this is how our universe spins and one should go in accordance with that. Some of the believers when encounters a mani stone mound on their way, pick a stone, touch it to their forehead, chant some prayers and add it to the existing stack. So, the size of existing mound keeps on growing taller and taller. Few followers consider these Mani stones as Patron Saints and they place them in their house or carry them along on their journey. Who makes these Mani Stones? The Mani stones are handcrafted only in winters, by the people who work as peasants or herdsmen during summer, spring and autumn season. The world’s largest Mani stone mound is located at Xinzhai Village of Yushu Tibetan Autonomous Prefecture in the northwestern province of, Qinghai, China. The mound here is believed to be built 200 years back by first living Buddha of Jiana and now it has 2.5 billion colored inscribed stones in it. 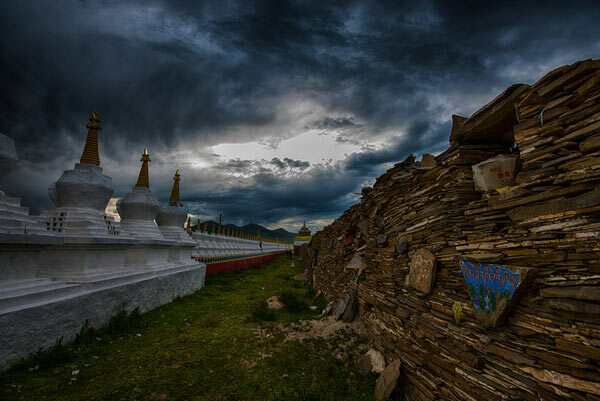 The world’s largest Mani stone wall, known as Bage Mani stone wall is located in Sershul County, of Garze Tibetan Autonomous Prefecture. The first stone of this wall was laid back in 1671 and till today thousands of pilgrimages are adding stones to it. So, the result is- this wall stretches up to 1.75 kilometers in length and 3.5 meters in height. It has more than 3000 stone statues and 6000 Buddhist scriptures. P.S – Apart from being beautiful colored, they are sacred prayer Mani stones. So, we all should respect and pray to them as per the traditions and cultures of the region. Interesting! If yes, then please share it with fellow travelers to know the story and significance of these colored Mani stones. I was actually one of the people who asked you on Instagram about the story of these stones. They were so intriguing and it’s great to know know what their purpose it. They remind me a bit of the Tibetan piles of rocks that I kept seeing during my trips through Asia. That’s a really interesting story, and I must admit I have never heard about these stones until now. Hopefully, when I do get to visit them, I shall pass them on my left 😀 Great post and useful information! I never knew about these before. This is quite an interesting article, and helped us learn something new about the culture. Thanks for sharing. That is a lot of history in there. Loved your pics Is it possible to take a Mani stone as a souvenir. I would love to go see the tallest Mani stone wall! What an incredible piece of information. Also liked the fact you made about the universe spin direction…makes so much sense if one knows the reasoning behind beliefs. I’ve never heard of these. Thanks so much for sharing. Such an interesting read. Something I defo wouldn’t have known about otherwise. Those stones are so beautiful! I’ve never heard of them before, but I would love to see them in person now! I’ve been to Tibet and I still really learned a lot, so thanks for putting this together! These random pictures tel a lot more stories than the usual customary pictures. You do have an eye for the unusual stuffs. Thanks for these little glimpses. I hope I can make it there some day. Wow, I have I not heard about this before?? It’s fantastic! These stones are really beautiful, and the facts you added about them are really interesting. I love the picture of the first fact with all the stones, that’s crazy! Never heard about those stones until now ! Thanks so much ! Loved the post . That first picture doesn’t even look real!! That stone wall is massive. I like how you emphasize the colored rocks and their history! Must be really amazing seeing these in person. It’s my first time to hear about Mani stones. I’m glad I’ve come to know their significance through your informative post. Have you tried to offer a prayer to them? What sorts of prayers are usually directed to these sacred stones? In the Philippines, there are scared places and monuments catholics pray to/at… each place serve a different purpose so I am wondering if you also have this kind of tradition… again, thank you for sharing this lovely post! The tall Mani wall looks fascinating. Though have never heard about it before. I’d love to visit this place. What a fascinating article. The mani stones look beautiful and their significance is even more beautiful. The largest mani stone mound is huge! Loved all your pictures. A very interesting post! Thanks for sharing this not so well known story! I saw these on your IG feed. So interesting to me. Did you go looking for them or just happen across them? For some reason these seem to fascinate me… think I need one! Maybe two. Tibet would be such a dream. These stones are unreal and clearly something worth taking the trip to see. this is amazing would love to go there someday! a person can spend days and days in this beauty to experience the nature. This is quite interesting to know, and I can understand the people’s curiosity because really it’s unlike anything I’ve seen before and they are so beautiful. It’s amazing to know what they are, what they represent, relevance, and who made them. 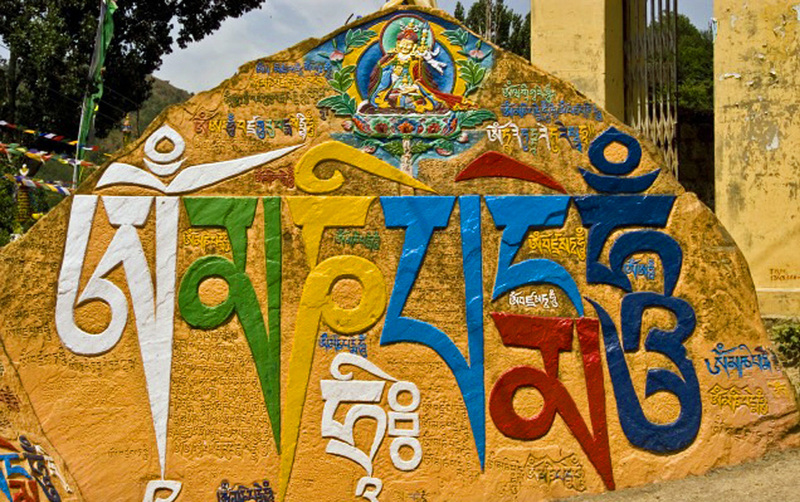 The Tibetan Culture has some great takeaways & rooted stories and philosophies. What is intriguing is that it has the most available scripture/elements that help you understand the religious teachings. Worth exploring and understanding always! Great post BTW. Didn’t know most of these things. Thank you for sharing this post. This stones are very intriguing and thank you for giving answer along the way while I browse your post. Tibet is on my bucket list and this is inspiring me to move it up on my list! Even though I have never seen these mani stones till date, I love the story behind them. I have seen them in photos and I have already what they meant. Interesting to know about the wall as well as the largest mound in the world. Thanks for sharing this. This is fascinating. I always enjoy learning about different cultures and so many cultures attach great significance to stones. It must be quite an impressive sight. What a beautiful cultural tradition. It fosters respect for your surroundings and encourages believers to take a moment to pause and reflect when they’ve reached a place of significance. Thank you for sharing this. I’ve never heard of these stones. Those mani stones are really cool looking. This is a unique sounding tradition and it would be cool to see. I have heard of the mantra OM MANI PADME HUM before but I didn’t realise what it meant before. We have come across it written on the wall in a restaurant before. I love it! Absolutely beautiful pics!! I’ve been to Uttarakhand and I saw many Mani Stones on the way but I had no idea what they meant or how significant they were. Thanks! I must confess I’ve not seen or heard of Mani Stones! I will look out for them when I head to Tibet, i.e not walk past them without knowing what they are! i’ll love to be there and learn all the history !! Mani stones and prayer flags always look so photogenic. I have got the best photos of them in Kinnaur and Spiti. I think the sheer Tibetan script itself blends so well with the mountains. They also tend to find ways to inscribe it all over the place, including remote mountains. How informative! thank you, I had no idea about this and now I have learnt one new thing today! What a beautiful post. I’d love to visit Tibet but I have reservations about doing while China is still oppressing so many there. wow! how neat and interesting. who knew that could be done to stones. hope to be able to travel more to see it. Quite an insightful article. I did not know that one should pass them to left . I have captured Mani stones a lot but never found out the details and facts about it. Thanks for sharing. Love your blog. The pictures are truly amazing! Those stones look surreal. I bet you had a good time in Tibetan. I haven’t been here, but this struck the wanderlust in me. Beautiful photos. I am always fascinated by these stones and markings on them and some of them even have a very calming effect on me. The Tibetan mani stones really are so cool and besides the religious context also add a sense of colour to the scenery. Lovely post. I’ve been to Uttarakhand and I saw many Mani Stones on the way but never heard about those stones until now ! Thanks so much ! Loved the post . Loved the blog. I have always seen the stack of stones in Tibetan temples . Now I realize the significance and relevance to Mani stones. Great informative post !